How long does it take to redefine a global communication strategy for one of the most traditional brands in Brazil? We managed to do it in three weeks! 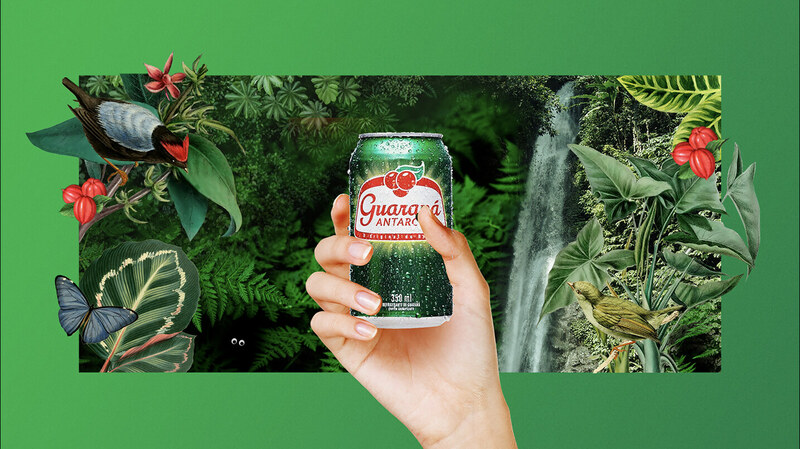 Using our agile Quest Innovation Program methodology, we created global brand book for Guaraná that provided visual guidelines for marketing the brand beyond Brazil. Brands need to constantly rethink their global positioning, even the more traditional ones. Guaraná is one of the biggest and most beloved sodas in Brazil. The beverage is made from the guarana plant of the Amazon rainforest, but is also found in a dozen other countries. The big question for us was how to position and communicate the brand to other cultures to ensure the messaging was consistent, but informative for markets that are unfamiliar with the exotic fruit. We solved this challenge through a well-defined process that included five days of cultural immersion, five days of creative process, and another five days of refinement and the creation of the final communication guidelines. This work was completed by our multidisciplinary team and the client working closely by our side. Our research found that the global perception of Brazil is generally limited to the association of music, beaches and carnival, and the perception of the Amazon rainforest was lush abundance and full of mystery. We used these insights to craft a visual language that would launch Guaraná to be a contemporary global brand. We defined all the activation touchpoints, messages and key visual aspects that became an actionable guide for local agencies to practice these brand guidelines in their countries.